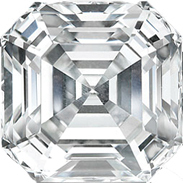 Asscher Cut Diamond Engagement Ring trapezoids and baguettes 0.60 tcw. 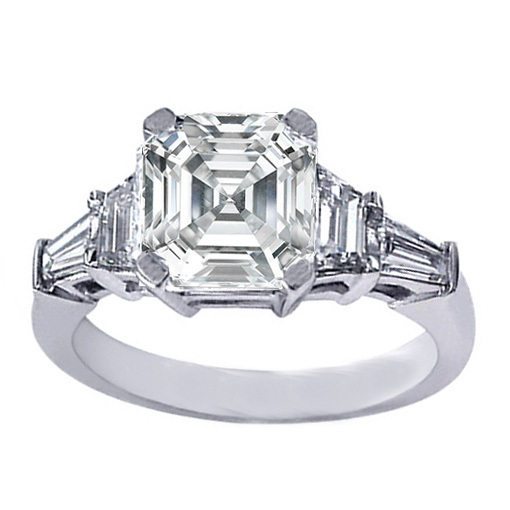 This Asscher Cut diamond engagement ring setting features a pair of trapezoids cut and a pair tapered baguette cut diamonds in 14K white gold. 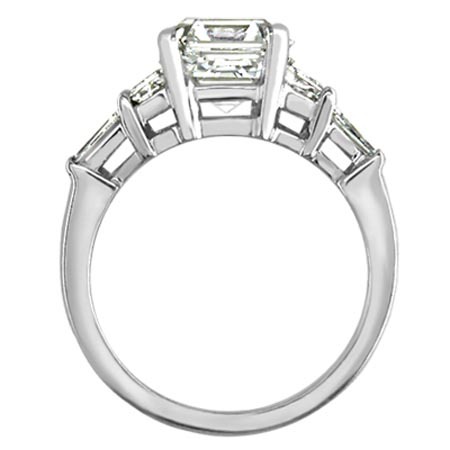 Also available in platinum, yellow and rose/pink gold. 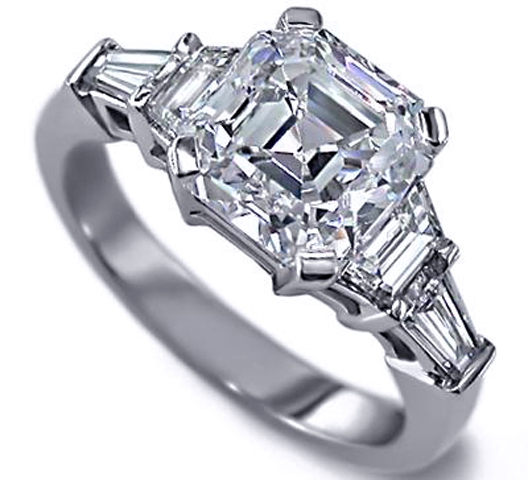 Custom made for your choice of center diamond from 0.75-3.0 carat.